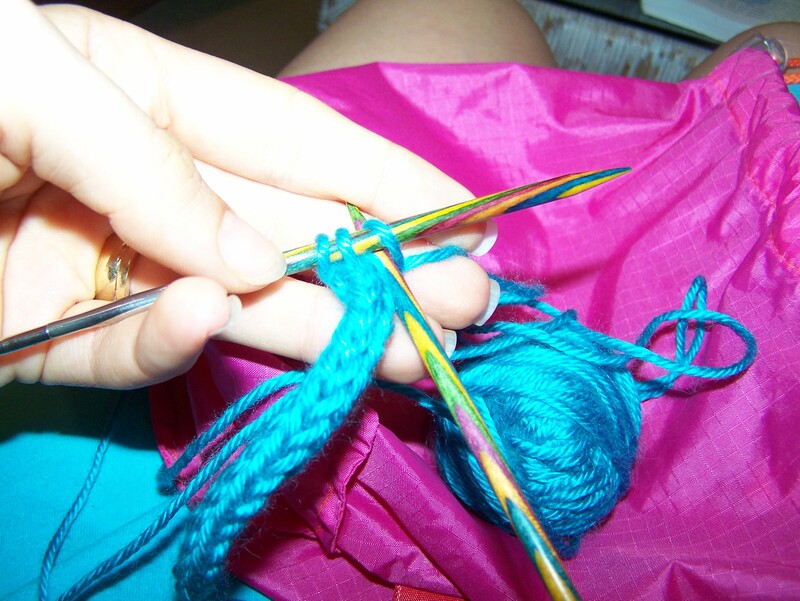 I am working on a new logo for my website and am knitting an i-cord to write out Knitwerks. It may be just Knit at the rate I’m going. Originally called the idiot cord because of a mistake made while Elizabeth Zimmermann was knitting, it was shortened to I-cord and actually has a lot of uses. While it is relatively simple, it is one of my least favorite things to knit. I made a series of decorate Christmas lights and similar chili peppers one year and have hated making i-cord ever since. They are a great decorative item and are often used for handles, belts, bows and more. 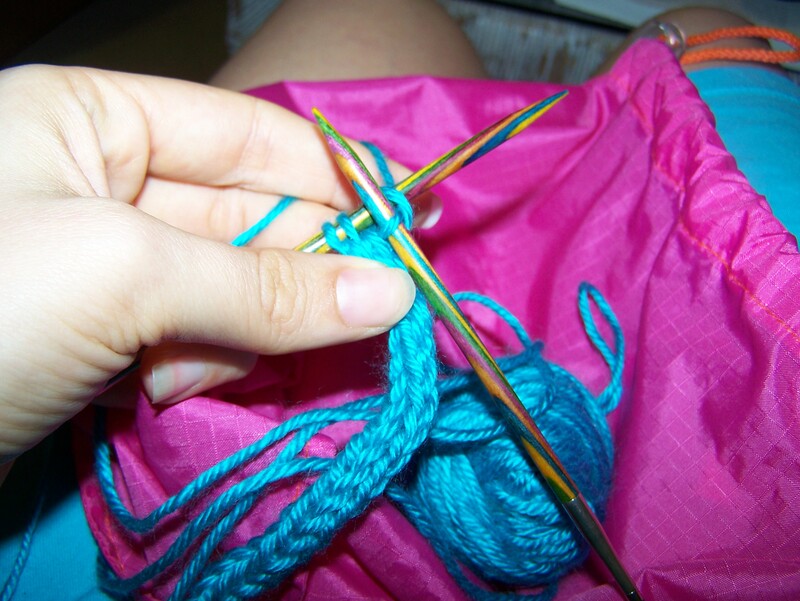 To make an i-cord, cast on between 3 and six stitches. 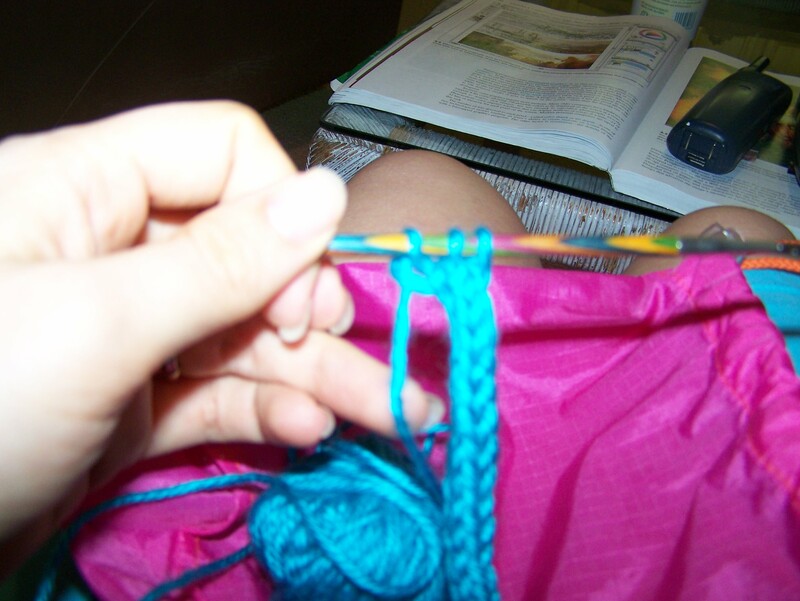 You can use either two double-pointed needles or a circular needle. Slide work to other side of needle and knit. Slide work to other side of needle again and knit. Do not turn work! By sliding the work and continuing to knit, you are creating a rope or tube that is stronger than a line of garter stitch alone. While it is not as exciting as cabling or following another type of pattern, it has a lot of great uses. Hopefully, I will have the new logo ready by the weekend with a little help from Photoshop!